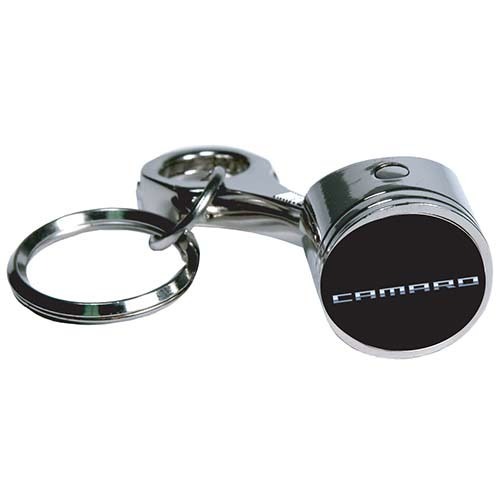 Camaro Piston Keychain. All metal construction. Bright chrome plating. Articulating piston head on a realistic connecting rod. Heavy Duty epoxy dome covered art. Two and a half inches long.